The yuan has also come under pressure, falling to its lowest rate against the dollar since November 2017. China's government is facing a multi-front battle to defend its economy, fighting to reduce its debt mountain while the yuan and local stock markets tumble in the face of a US trade conflict. With the Trump administration preparing to roll out tariffs on some $34 billion of Chinese imports next week, the Shanghai Stock Exchange is taking a nosedive down some eight percent in the last two weeks before recovering on Friday. Louis Kuijs, head of Asia economics at Oxford Economics, said a trade war could slow China's economy by 0.3 percentage points on average over 2019-2020. "The increased uncertainty and risks will weigh on business confidence and investment, especially cross-border investment. There will be an impact on growth, in China, the U.S. and elsewhere," he added. The tariffs expected to take effect July 6 are just a fraction of the total Trump has vowed to levy on China if it hits back with its own punitive measures. As stocks fell recently, the governor of the People's Bank of China (PBOC), Yi Gang, urged investors to "stay calm and rational," assuring that the central bank would mitigate any "external shocks." On Sunday the PBOC said it would reduce the reserve requirement rate (RRR) for most banks by 50 basis points in order to release some 700 billion yuan ($105 billion) of funds for loans for small businesses. Lu Ting, chief China economist at Nomura International, said the move would provide "fresh liquidity for the real economy" and sent "a strong signal of policy easing." But he added a note of caution, saying that despite the RRR reduction, "we believe the Chinese economy is yet to bottom out, and the situation could get worse before getting better." The rate cut will come into effect on July 5 on the eve of the day the first wave of US tariffs are due to bite while the PBOC has beefed up its regular cash injections into the financial system. But China has to be wary of pulling the easing lever too readily. President Xi Jinping's administration has been trying since last year to curb China's significant indebtedness, tightening regulation of the banking sector and cracking down on rampant "shadow financing". That requires a delicate balance if credit fully runs out of steam, companies will struggle to finance themselves. Julian Evans-Pritchard, senior China economist at Capital Economics, said the RRR cut is "intended to support banks' debt-to-equity swaps rather than mark a shift away from deleveraging and toward monetary easing." "But in practice, the RRR cut does seem likely to result in looser monetary conditions given signs that policymakers are becoming more concerned about the downside risks to economic activity from slowing credit growth," he added. Industrial production, retail sales and investment slowed in May, all signs of an ongoing slowdown in the world's second largest economy. Beijing has set a growth target of "around 6.5 percent" for 2018. To reach this goal against "strong internal and external headwinds" expected in the second half, further easing is likely in the coming months, Nomura's Lu Ting said. The yuan, meanwhile, has been sliding. A weaker currency might help Chinese exporters facing US tariffs, but the PBOC could step in if the depreciation goes too far. Evans-Pritchard says Beijing is acutely aware of a similar slide in 2015-2016 that led to a painful capital flight. China is therefore trying to carry out a deft balancing act: supporting the economy and business loans, while continuing to stem swelling debt and financial risks. 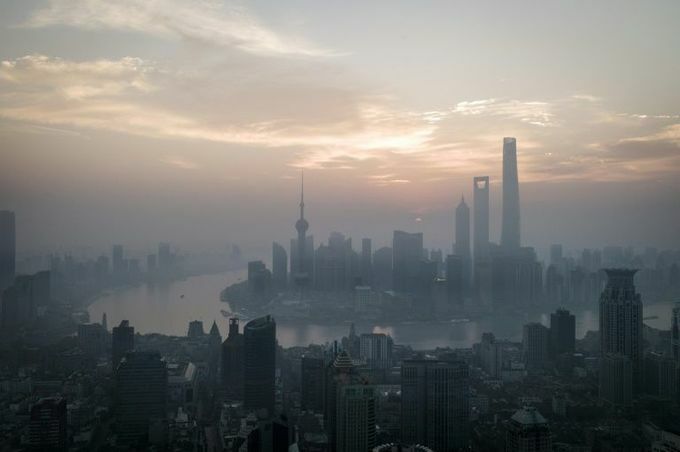 The debt mountain, corporate defaults and trade tensions prompted the National Institution for Finance and Development, an influential Chinese government-backed think-tank, to issue a stark warning. "We think China is currently very likely to see a financial panic," it said in a note quoted by Bloomberg. "Preventing its occurrence and spread should be the top priority for our financial and macroeconomic regulators over the next few years."